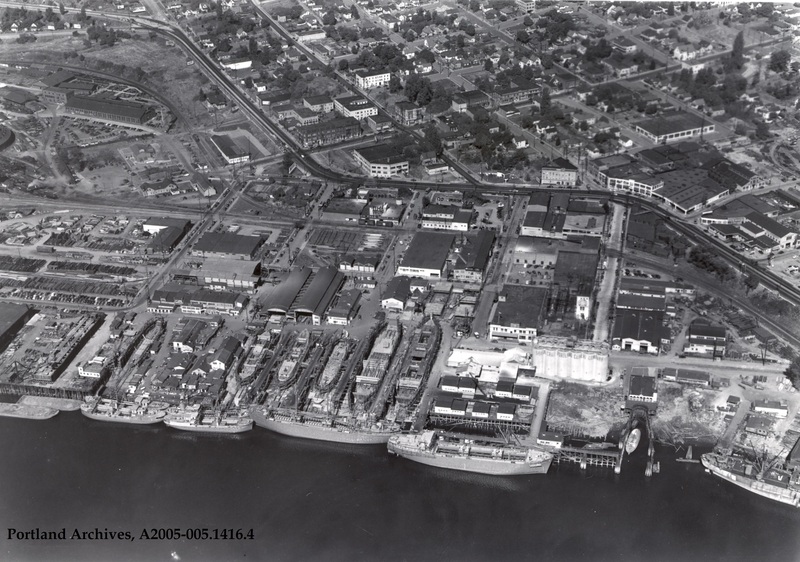 Today we have a wonderful aerial of the shipyards along the Willamette River in North Portland circa 1945. In the middle of the photograph you can also see N Interstate Avenue where it intersects with Albina Avenue, Mississippi Avenue, and Russell Street. In the lower right of the image is Fireboat 2 outside of its station. This boat, the David Campbell, still serves in reserve based at Station 6 on the other side of the river off of NW Front Ave.